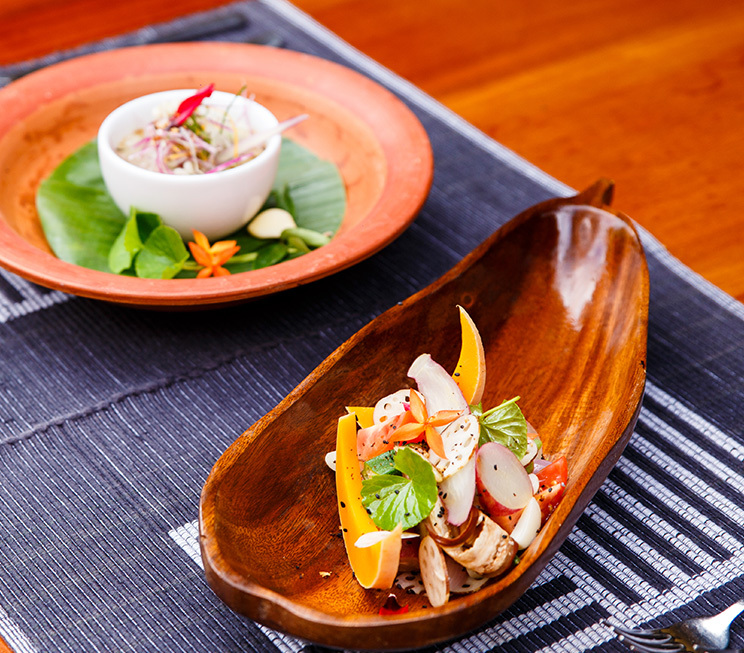 Unlike any restaurant in Negombo, Signature Dining experiences at Jetwing Beach are a pleasure of our hospitality and have been specially designed to treat you to unforgettable culinary moments found nowhere else. With six distinct experiences on offer, you are spoiled for choice with the luxury of dining at various locations across our home, including the beach for a BBQ, the spa as a tranquil hideaway, in your Suite for absolute privacy, simply alfresco upon our beachside terrace, or under the starlit skies of Negombo. 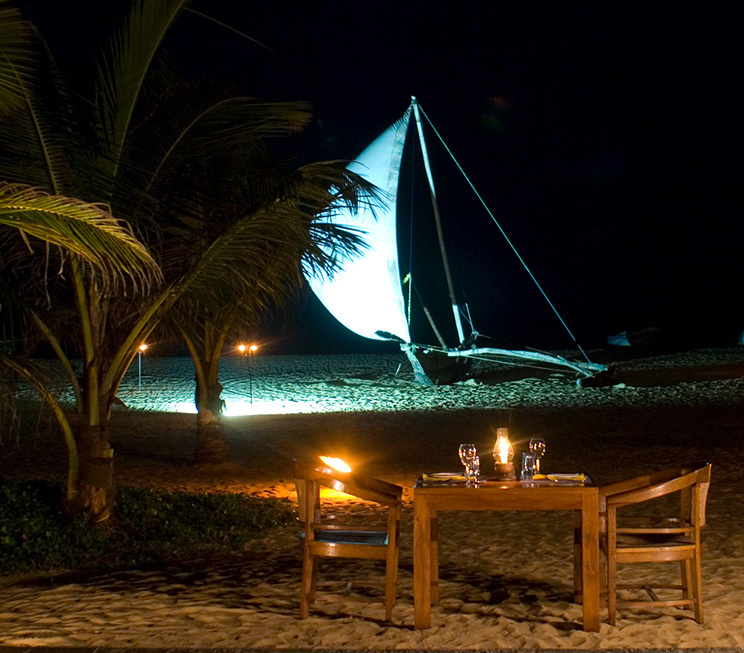 Wherever you choose to dine at Jetwing Beach, we look forward to ensuring your experience is a memorable one. 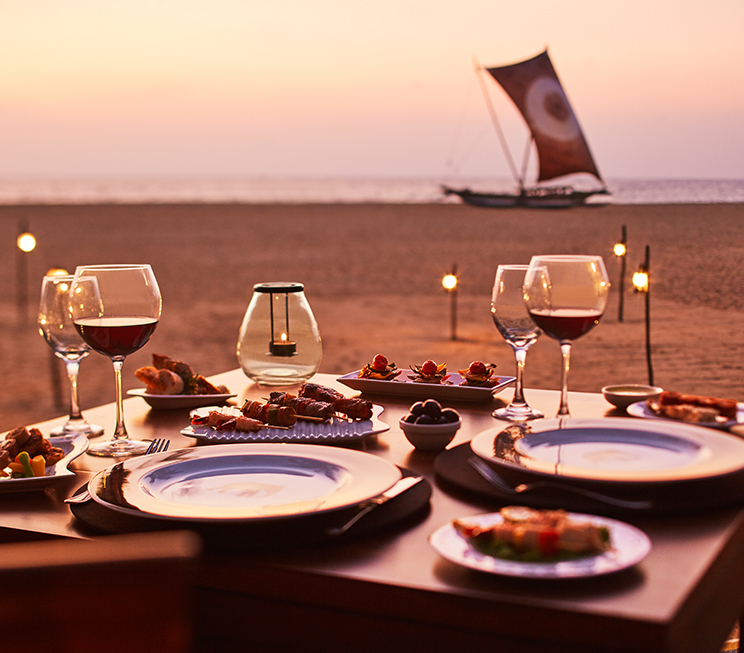 Indulge in a grilled feast of mouthwatering meats and refreshing beverages, best savoured amidst the cooling ocean breeze that blows across the sandy shores of our resident beach in Negombo. 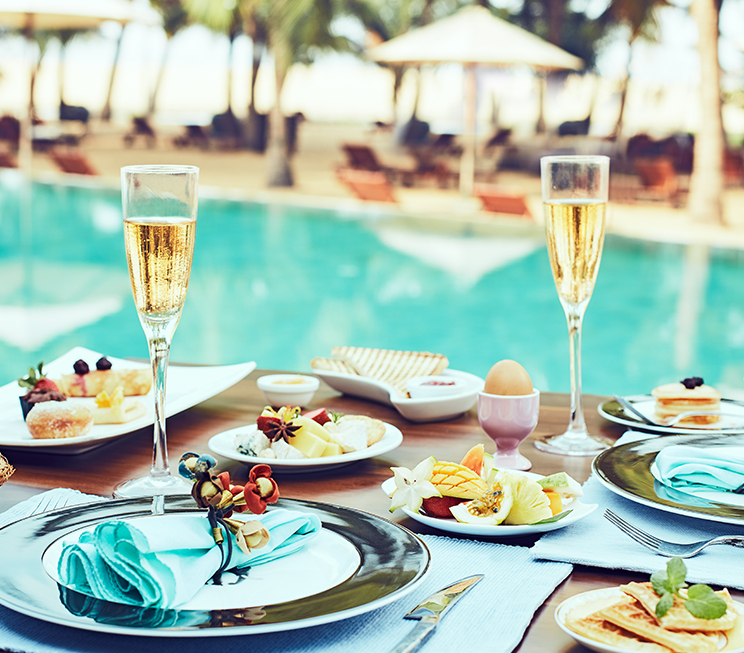 Enjoy your meals upon our beachside terrace on the northwestern coastline of Sri Lanka, in a comfortable open-air environment that brings the best of the ocean to your dining table. Escape to an atmosphere of momentary bliss, and choose to dine in the luxurious haven of our spa at Jetwing Beach, with the added pleasure of healing treatments that complement your meal. 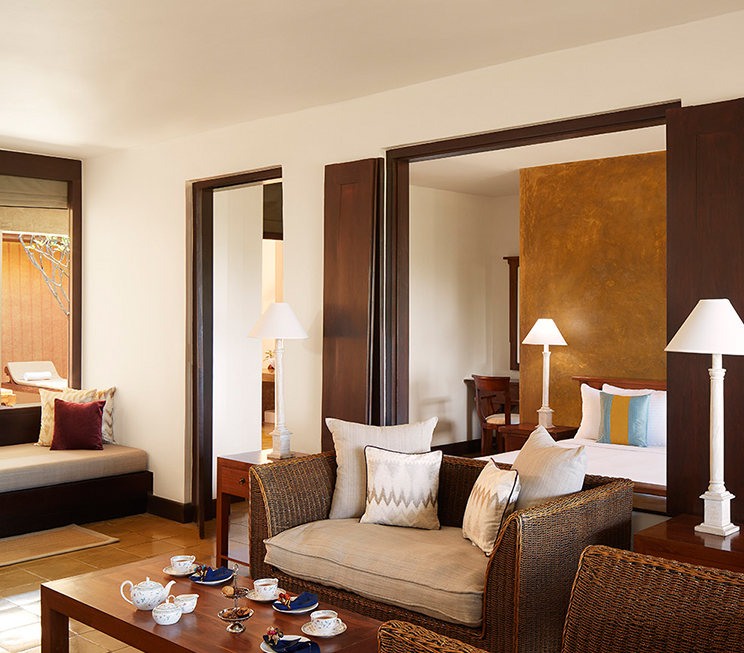 Sit in the comforts of your open courtyard in absolute privacy, with a Signature Dining experience that is reserved exclusively for guests who choose to stay in our luxurious Suites at Jetwing Beach. Feast on a selection of delectable dishes and mouthwatering sides, while you indulge in a flavourful grilled meal that is befitting of the tropical luxury that surrounds our home. 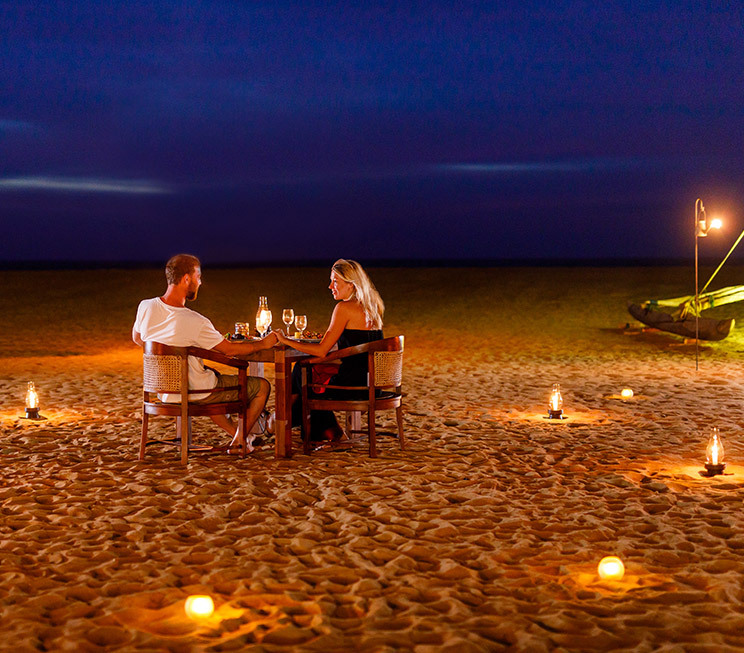 As the name of this Signature Dining experience states, have a romantic dinner set under a shining constellation that adorns the skies of Negombo every night at Jetwing Beach.